Lagos State Governor, Mr. Akinwunmi Ambode (3rd left); with Alhaji Aliko Dangote (2nd left); Managing Director of the Nigerian Ports Authority (NPA), Hadiza Bala Usman (left); Minister of Power, Works & Housing, Mr. Babatunde Fashola (3rd right); Chairman Senate Committee on Works, Senator Kabiru Gaya (2nd right) and Senator Oluremi Tinubu (right), during the Flag Off Ceremony for the Reconstruction of Apapa-Oworonshoki-Ojota Expressway in Apapa, on Saturday, November 17, 2018. 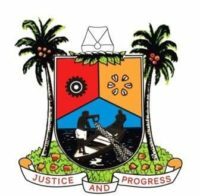 Home/Focus/GOV AMBODE, BABATUNDE FASHOLA & ALIKO DANGOTE AT THE FLAG OFF CEREMONY FOR THE RECONSTRUCTION OF APAPA-OWORONSHOKI-OJOTA EXPRESSWAY IN APAPA, ON SATURDAY, NOVEMBER 17, 2018. 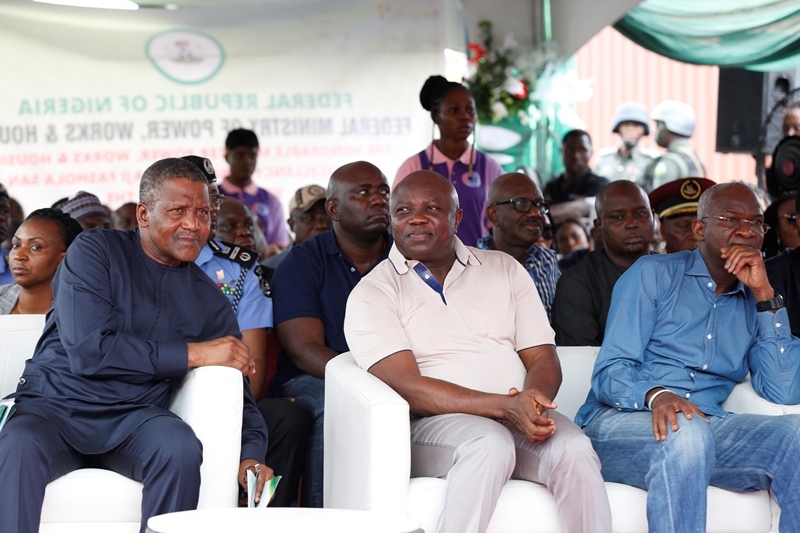 GOV AMBODE, BABATUNDE FASHOLA & ALIKO DANGOTE AT THE FLAG OFF CEREMONY FOR THE RECONSTRUCTION OF APAPA-OWORONSHOKI-OJOTA EXPRESSWAY IN APAPA, ON SATURDAY, NOVEMBER 17, 2018. Lagos State Governor, Mr. Akinwunmi Ambode (middle); with Alhaji Aliko Dangote (left); Minister of Power, Works & Housing, Mr. Babatunde Fashola (right), during the Flag Off Ceremony for the Reconstruction of Apapa-Oworonshoki-Ojota Expressway in Apapa, on Saturday, November 17, 2018. 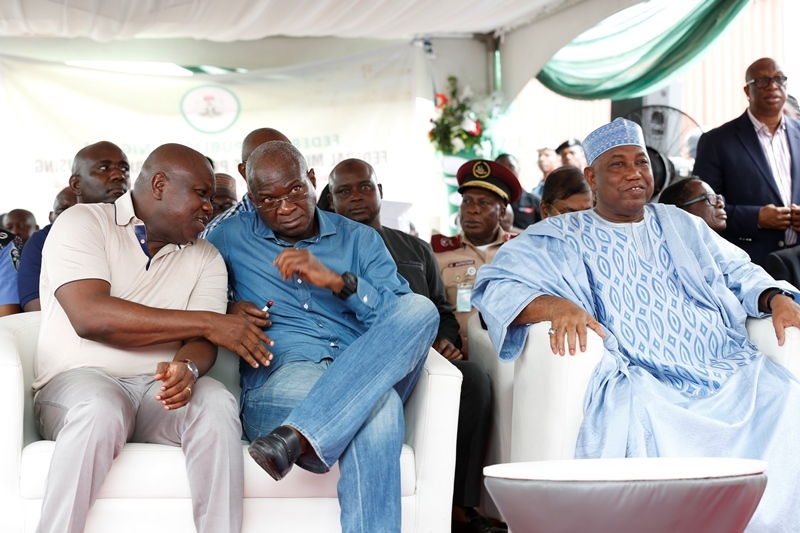 (L-R): Lagos State Governor, Mr. Akinwunmi Ambode; Minister of Power, Works & Housing, Mr. Babatunde Fashola; and Chairman Senate Committee on Works, Senator Kabiru Gaya; during the Flag Off Ceremony for the Reconstruction of Apapa-Oworonshoki-Ojota Expressway in Apapa, on Saturday, November 17, 2018. 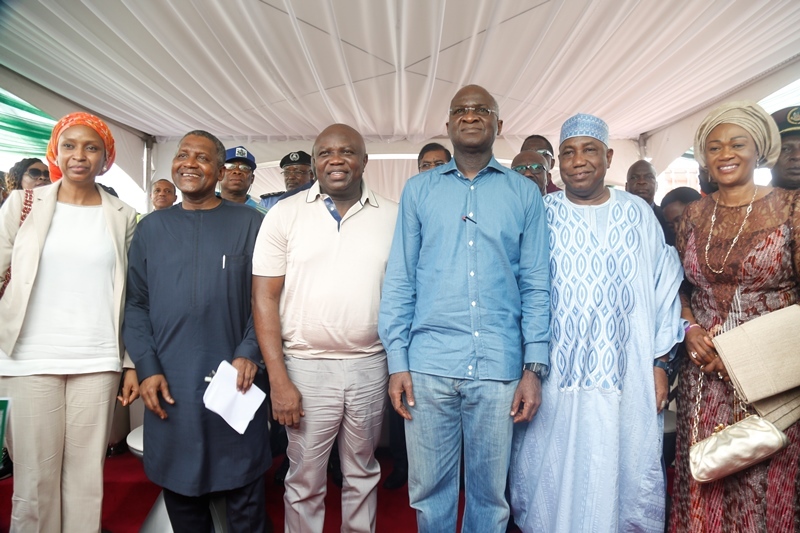 Lagos State Governor, Mr. Akinwunmi Ambode (2nd left); with Alhaji Aliko Dangote (left); Minister of Power, Works & Housing, Mr. Babatunde Fashola (2nd right) and Chairman Senate Committee on Works, Senator Kabiru Gaya (right) during the Flag Off Ceremony for the Reconstruction of Apapa-Oworonshoki-Ojota Expressway in Apapa, on Saturday, November 17, 2018. 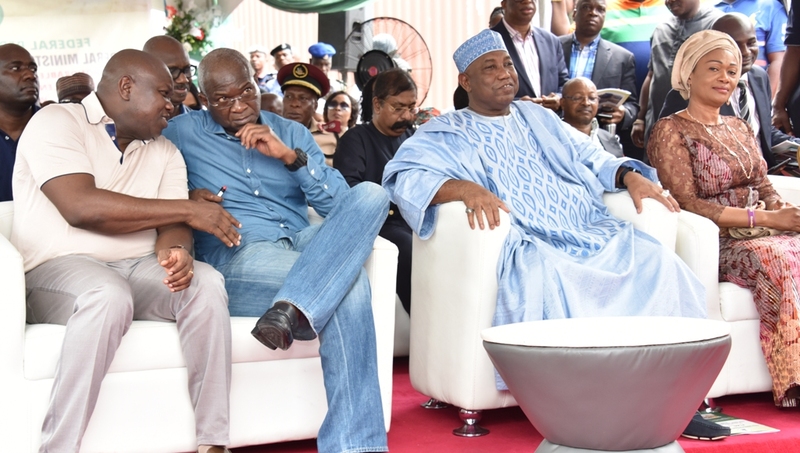 (L-R): Lagos State Governor, Mr. Akinwunmi Ambode; Minister of Power, Works & Housing, Mr. Babatunde Fashola; Chairman Senate Committee on Works, Senator Kabiru Gaya and Senator Oluremi Tinubu, during the Flag Off Ceremony for the Reconstruction of Apapa-Oworonshoki-Ojota Expressway in Apapa, on Saturday, November 17, 2018.